Frances is a sweetheart. 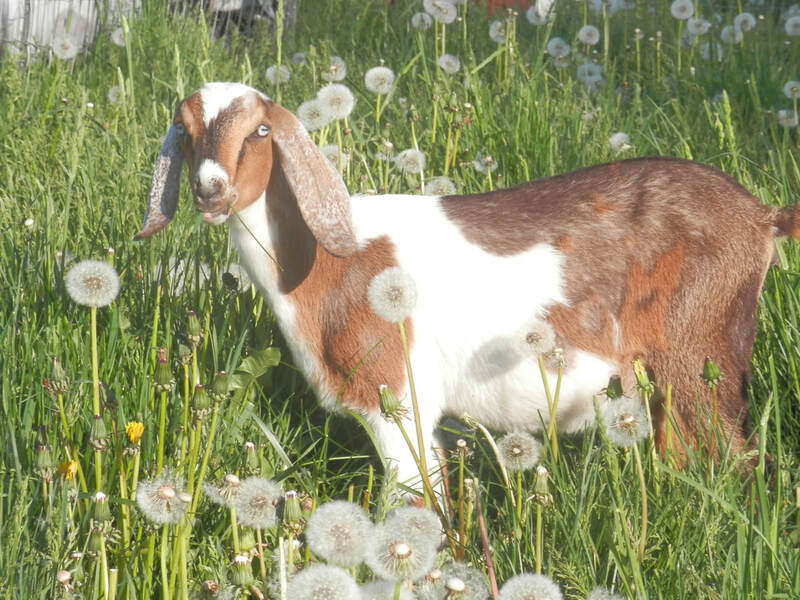 I kept her dry until this past fall when we bred her to Augustus for Spring 2014 kids. Looking forward to seeing what she has & how well she milks. 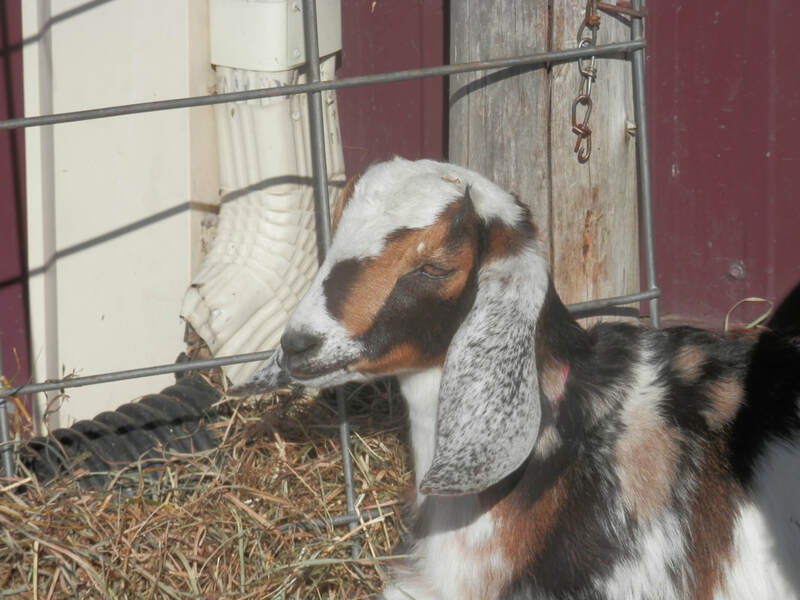 Frances has a nice long back, really nice roman type nose & I like her conformation with a nice deep barrel. Her ears have a much better drop than the picture shows. Frances was a FF this spring(2014). She kidded with triplets & was an terrific mother. 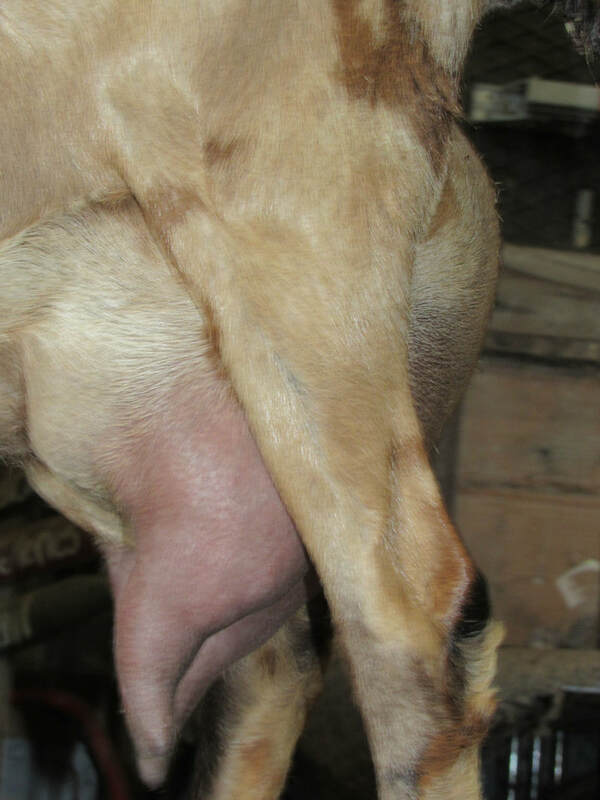 Great udder capacity, teat size, placement & just a joy to milk. So good on the stand & we really Love her. 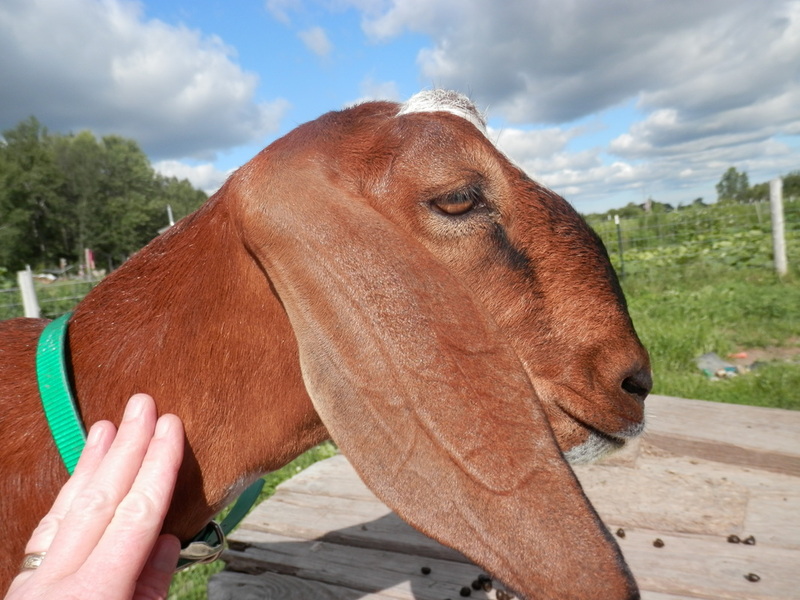 ​Frances continues to be an awesome milker! 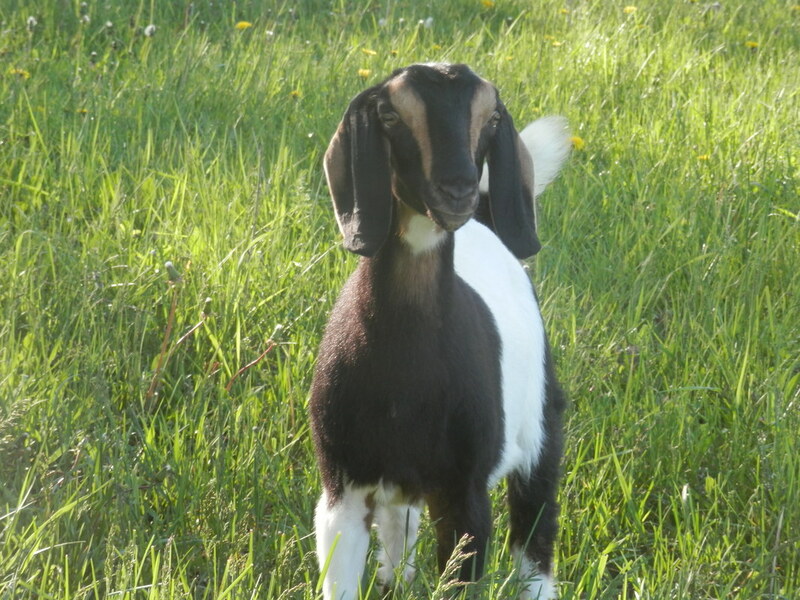 She adds so much to our herd as 1 of our very 1st mini nubians & we truly love her. Although she looks kinda plain she always makes some beautiful kids! 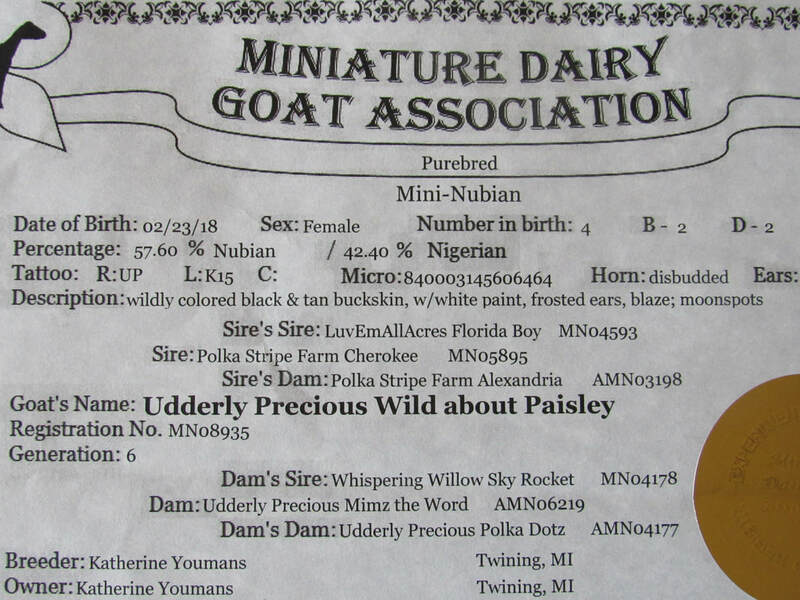 We were elated to be able to add Posie Patch to our little herd. looking forward to her kidding out & seeing how she develops & milks.She is a real joy to have. 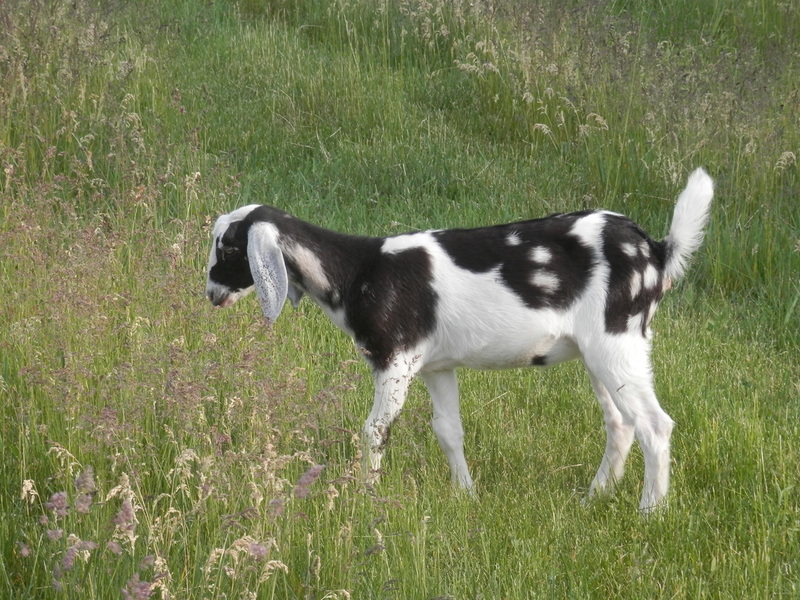 To me Posie is a perfect speciman of what a purebred Mini should look like, roman nose like the standard nubian, the full long nubian ears, length of body but smaller in stature like the nigerian. I think she is going to make the perfect size medium size animal with all the breed character. 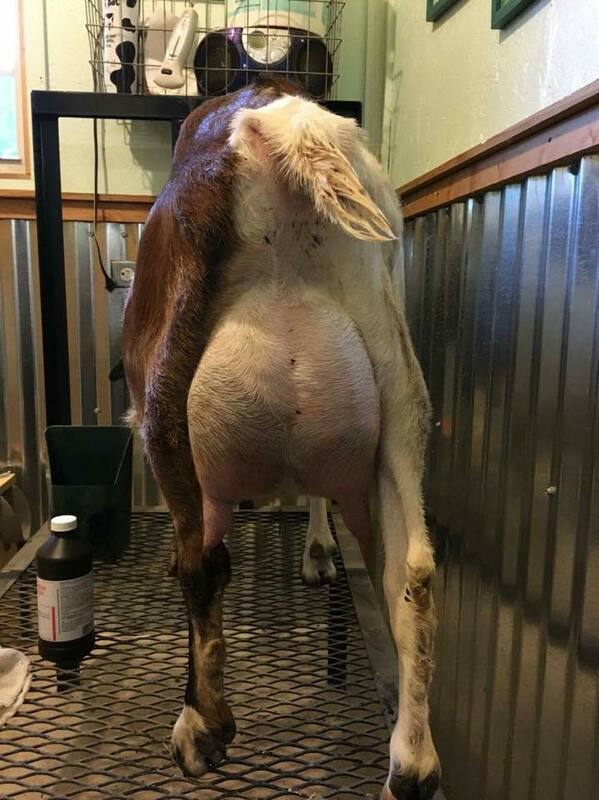 This is now 2016 Posie's 2nd freshening, the udder pictures above blame the photographer because she has an awesome udder with excellent teats, placement & size. She gave us quads this year & I bottle fed 2 & left 2 kids on her. Milking her with out ever separating her kids at night at 4 weeks fresh she's giving me 4 pounds 13 ounces almost exactly the same everyday. ​She is dairy all the way! Posie is an awesome milker again in 2017! 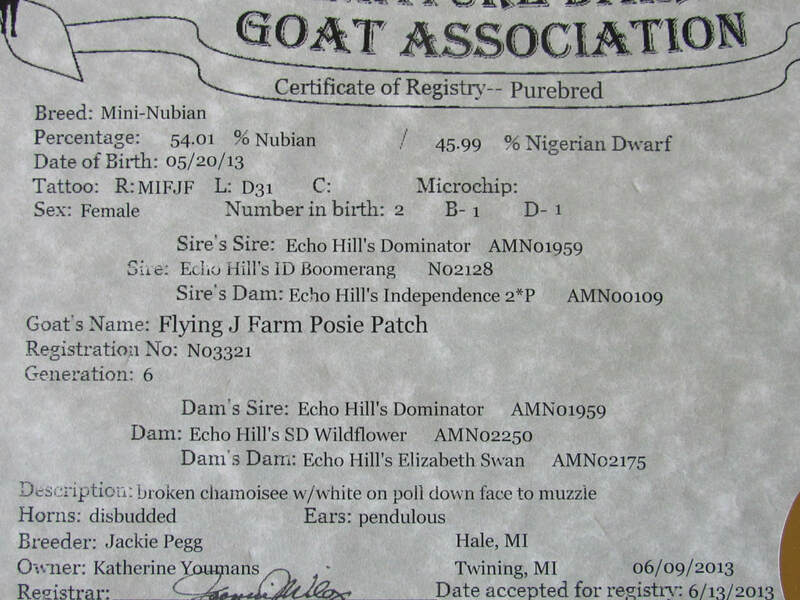 Posie brings the Echo Hill's line to my herd. Big Thank You to Jackie Pegg for this girl. We couldn't be happier with her & she's a real sweetheart! Mimzy is a real sweetheart & really looking forward to milking her out & seeing just how good her udder attachment & conformation is. We used to own her dam but a wonderful couple I know really had been wanting her & couldn't wait to take her home so we retained Mimz. Her Grand dam was one of my best milkers but she now lives in Wisconsin & her dam took right after her dam. 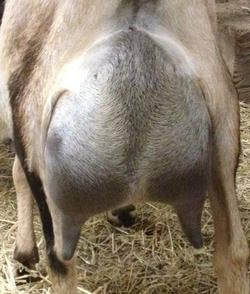 Awesome teats & placement, udder capacity & just a super sweet milker. ​Udder pictures are hers at 1 month fresh & a FF. 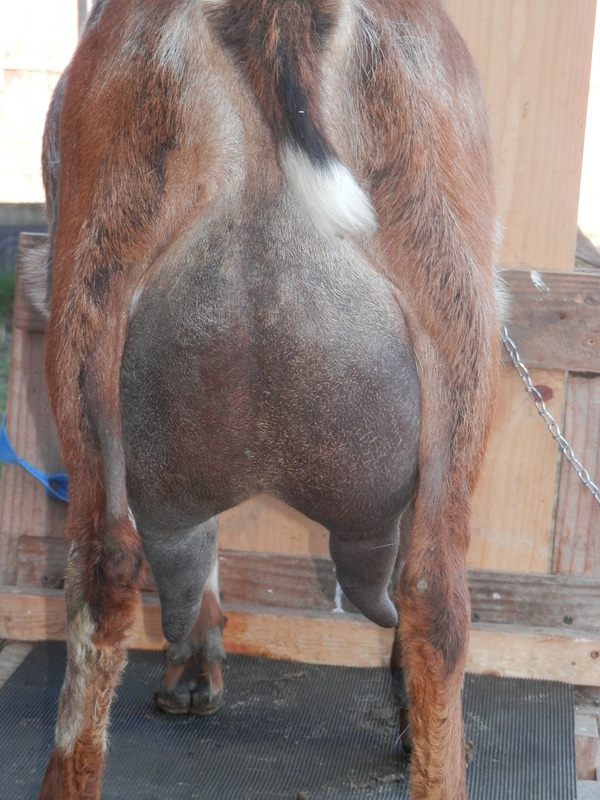 Below her picture is udder pictures of her dam & then udder shot of her grand dams from the side. Mimzy will be a 3rd freshener this year. Is a real sweetheart, excellent mother & great milker. She gave us triplet doelings as a FF & Quads as a 2nd freshener! We'll see what this 3rd freshening brings. 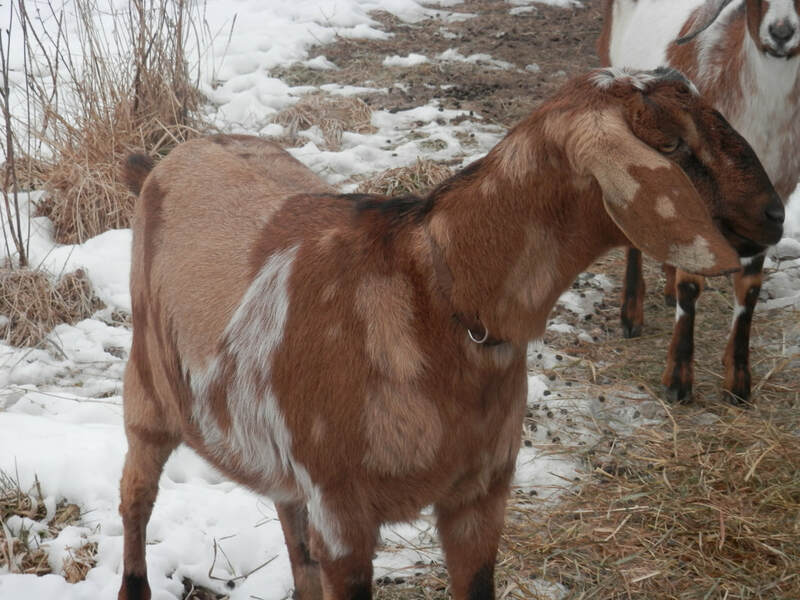 We are really excited to have added this beautiful little purebred doeling to our herd & Thanks so much to Courtney & Wil Deitch for trusting us with her. I am really excited to see how she does as a FF & how well she milks because I know her dam is an awesome little milker. 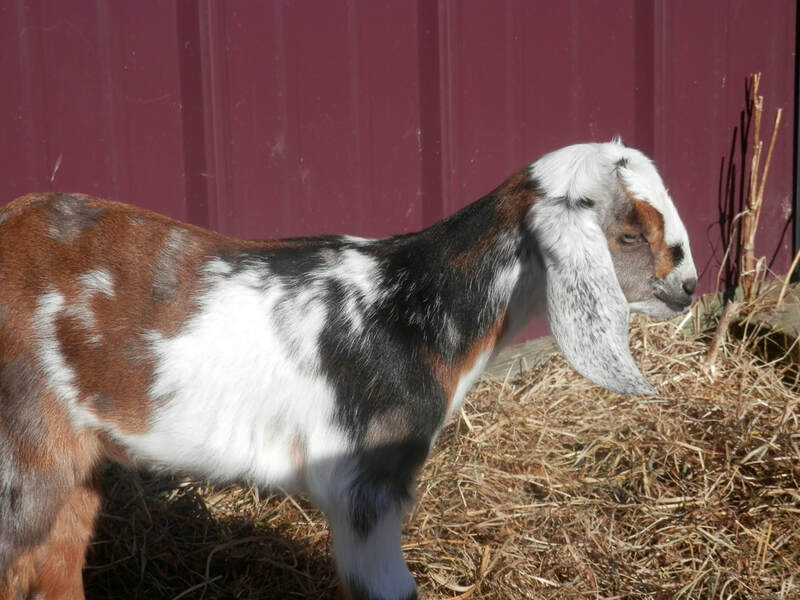 This little doe is everything a purebred Mini Nubian should look like. 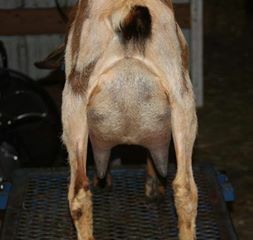 Her udder pictures are at about 1 month fresh as a FF. 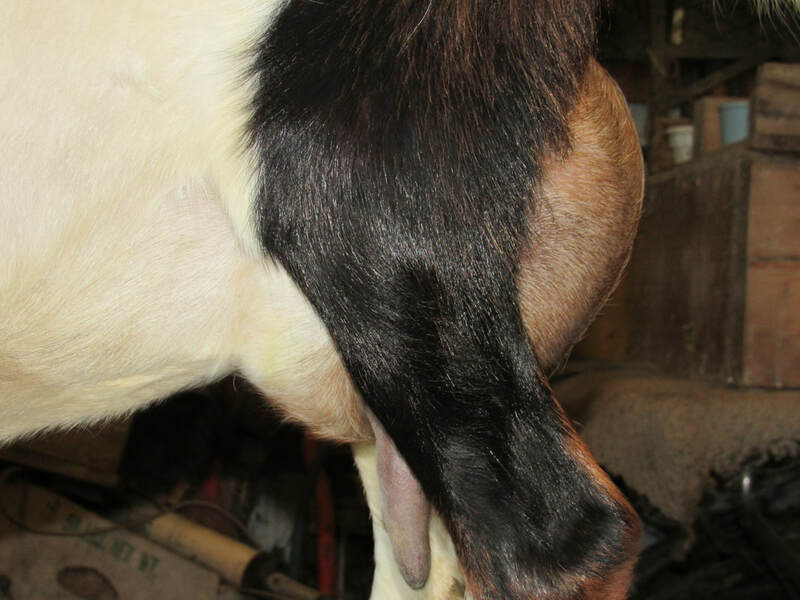 ​The udder pictures below her's are her sire's dam on the left & her dam on the right. Eclipse gave us triplets as a FF & as a 2nd freshener she gave us Quintuplets!! She huge already getting ready for her 3rd freshening so we'll see what this year brings. 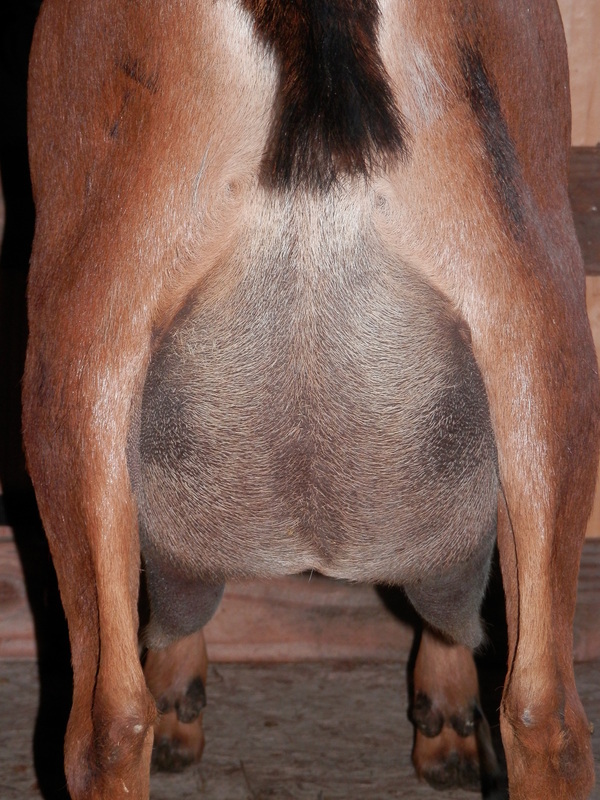 Shes a really nice little milker, great on the stand & really nice teat size, placement & capacity. Twilight (AKA- Twila) is the only doe we retained this year. 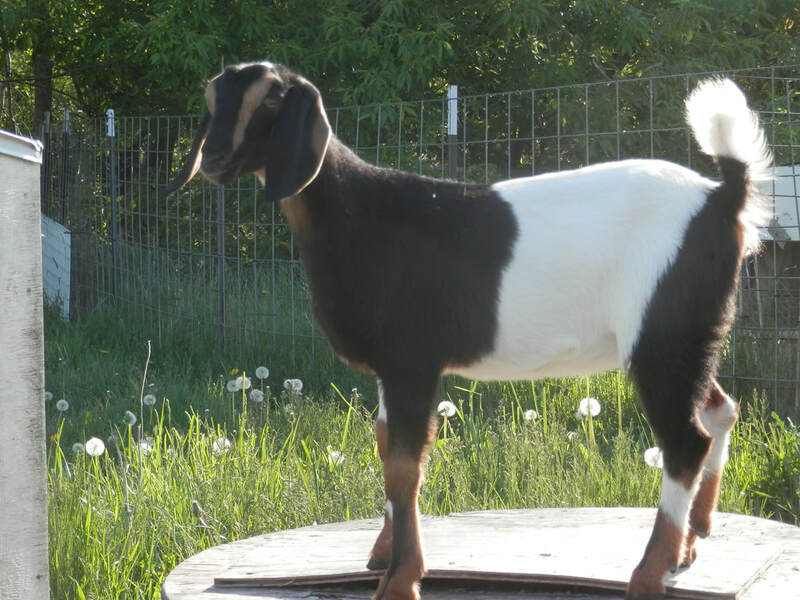 She has awesome ears & roman nose, nice top line & all around great breed character. Hershey gave us all gorgeous kids this year from all our does' but we decided on this one. I am really anxious to see how she freshens & how her kids are. 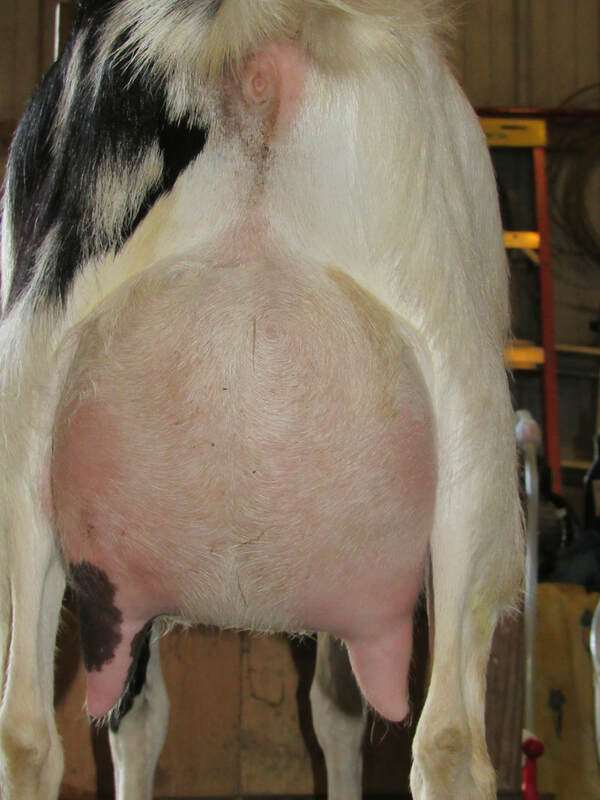 Udder picture is of grand dam who has milk stars. 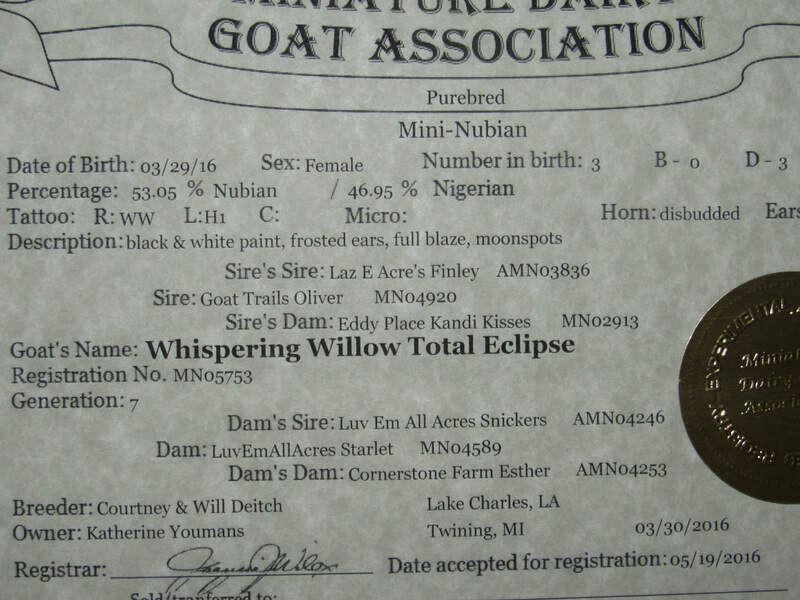 Her dam is Total Eclipse & her udder pictures is with her info. ​Twilight freshened for her 1st time in June 2018. She had buck/doe twins, was a very good mother & although I didn't milk her she had very nice teat size & placement. Nice udder for a FF. It was just late in the season & was milking everyone else already & just didn't need more milk. Her udder pictures are with no separation from kids, she is nursing her triplets 24/7. 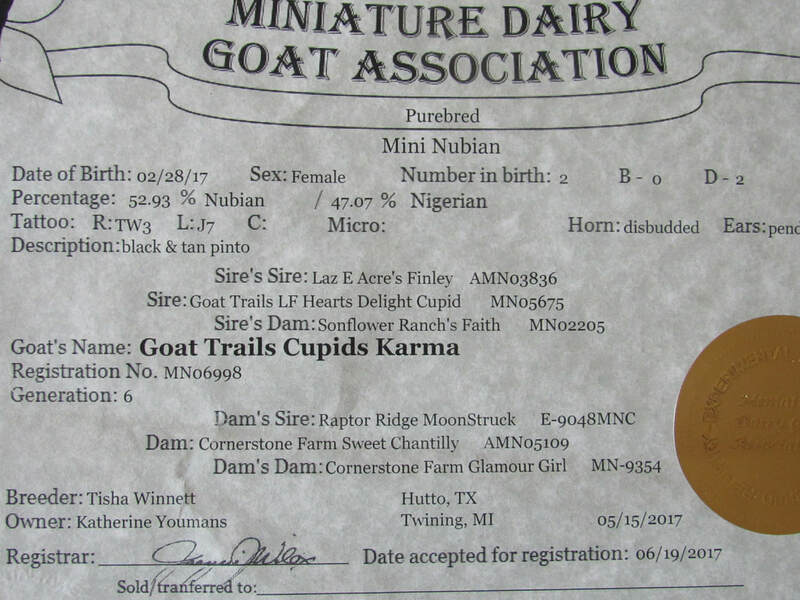 Karma came to us this year all the way from Goat Trails Farm in Texas. She's a beautiful little doe that has lots of milk behind her & all, the breed characteristics as well to make some beautiful mini kids giving lots of milk. Thank You so much for trusting me with yet another one of your beautiful kids Tisha Winnett. ​Karma kidded in May 2018 for the 1st time with twins buck/doe & was an excellent mother. The udder pictures on the left are Karma's FF udder. I NEVER separated her kids from her, those udder pictures are with kids still nursing & me milking once a day in the a.m. She was so easy to milk, great teat size & placement & good capacity also. 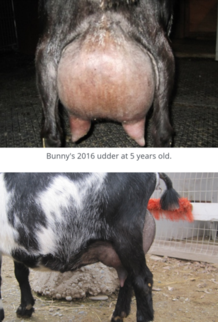 ​Udder pictures on the right are from the granddam who has earned her milk stars. 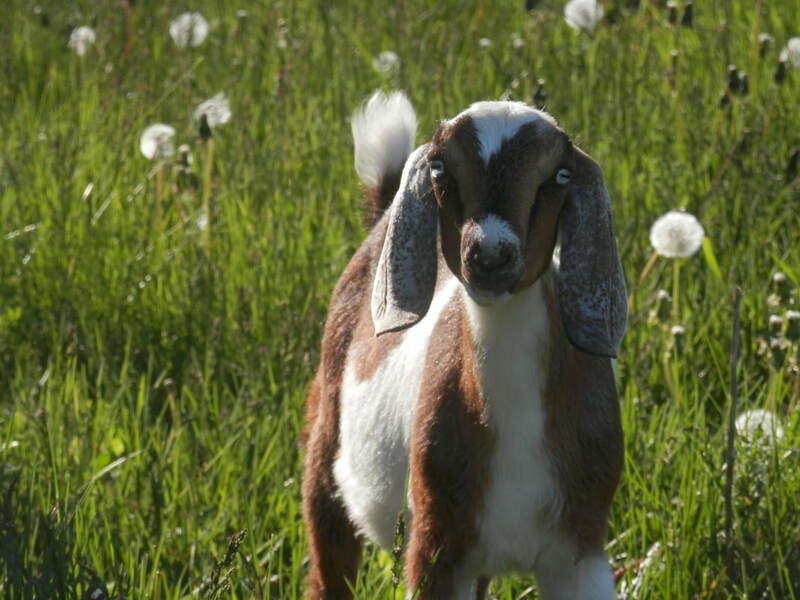 Spicey cam with Karma all the way from Goat Trails farm in Texas. 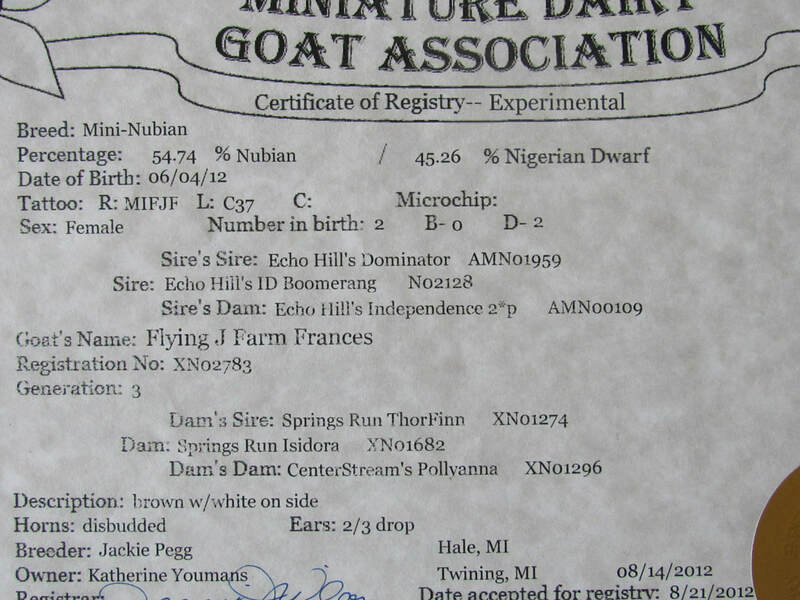 She's our very 1st mini nubian with blue eyes & milk stars on both sides of her pedigree. Thanks again Tisha Winnett for another beautiful doe. Spicey freshened in June 2018 for the 1st time. She gave us 2 gorgeous bucklings, 1 blue eyes & 1 the gold color eyes. 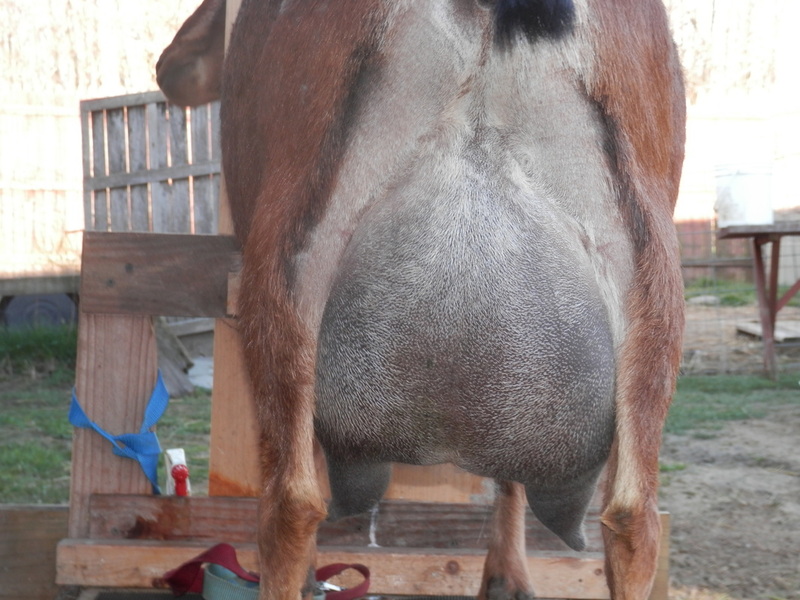 The 2 udder pictures farthest left are Spicey's FF udder pictures with kids on her 24/7 & me just milking in the a.m. I never separated her kids from her for milking. She is a dream to milk. Perfect teat size & placement with really good capacity. 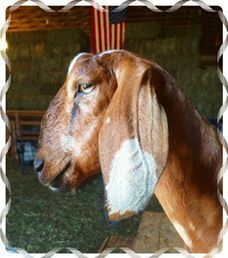 Maple just came to us this last winter & really anxious & thankful to have been able to add her to our little herd. Thanks so much to my friends Jackie & John Pegg for trusting me with this beautiful doe. 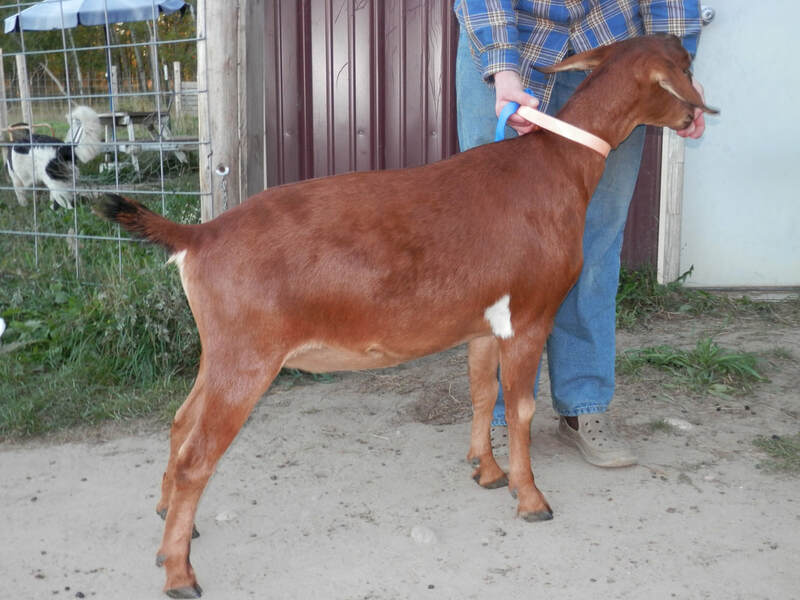 She is a full sister to my Posie Patch who is an awesome milker so really excited to add Maple also. Udder picture on the left is Maple as a FF. 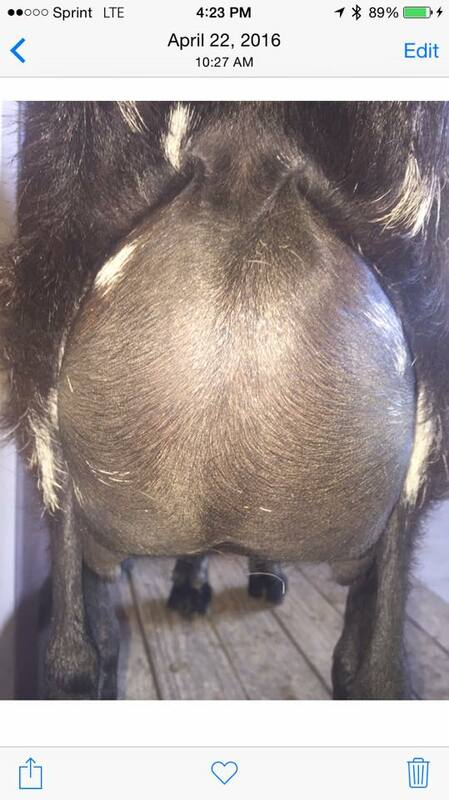 The right udder picture is July 2018 2 weeks after kidding with a single doeling. 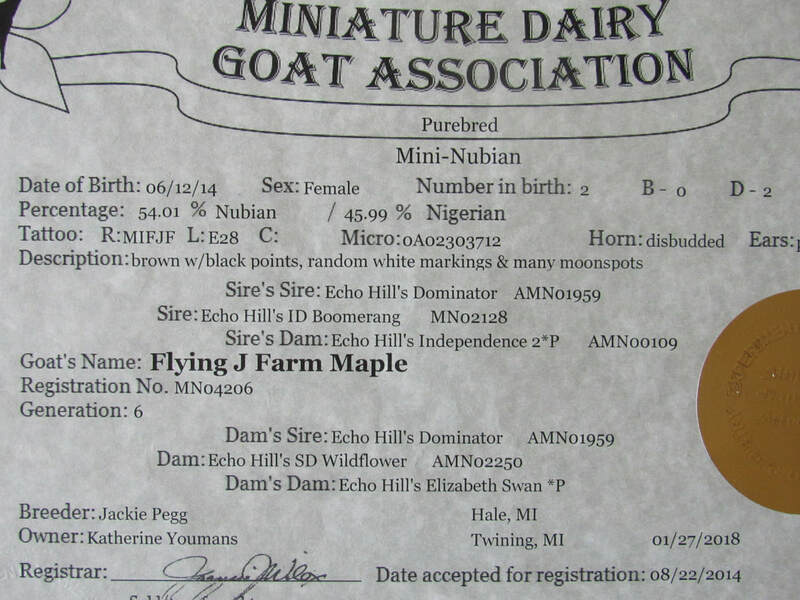 I never separated Maple's doeling from her & just milked once a day in the a.m.
She is an awesome milker with great capacity, teat size & placement. Very easy to milk. 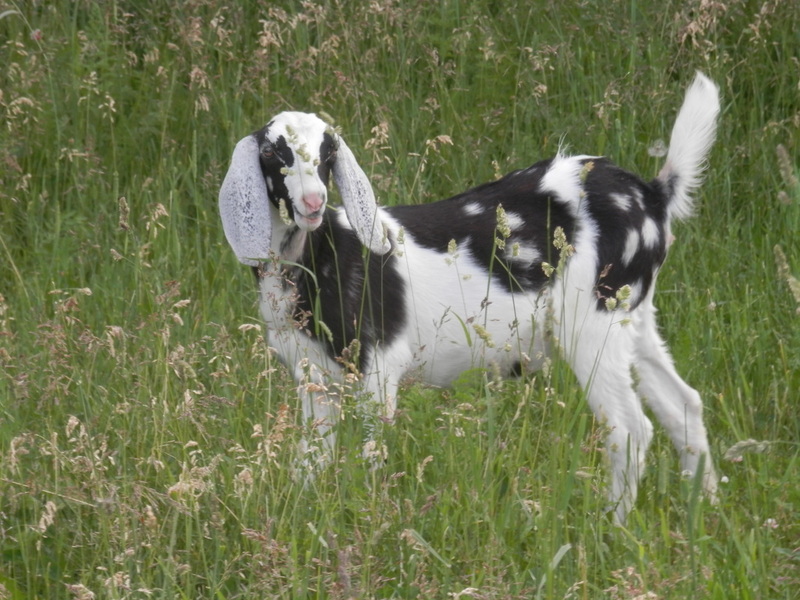 Paisley was retained from a set of Quads out of Mimzy in 2018. 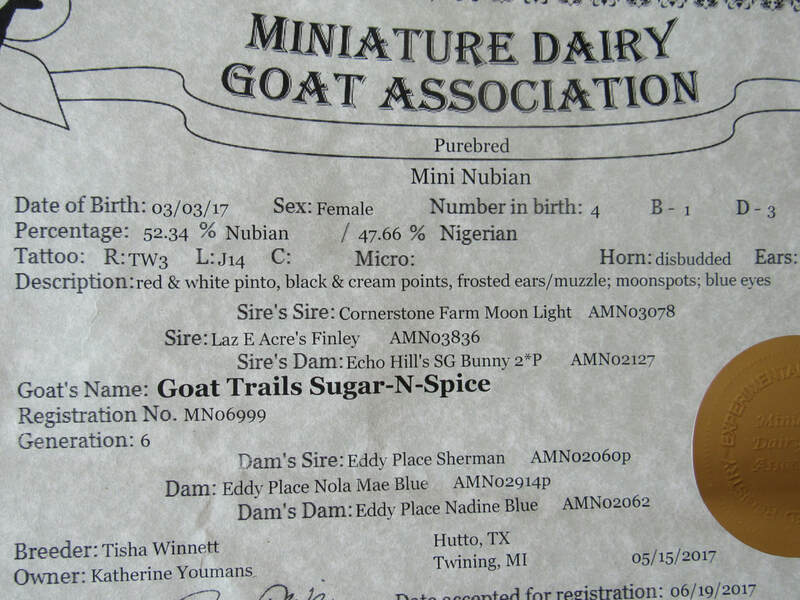 She is wildy colored black & tan buckskin with moonspots but we didn't retain her for her color alone....her dam is one of my most favorites to milk giving 6 pounds a day with only once a day milking. 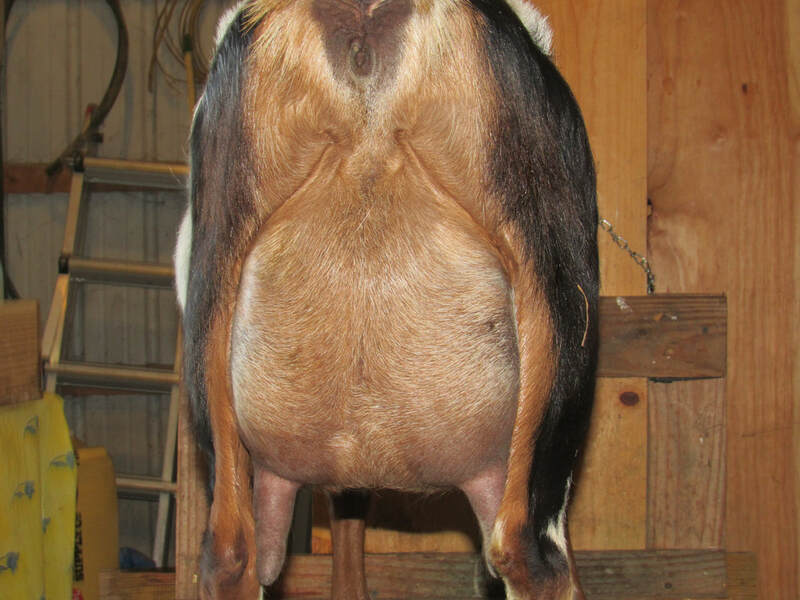 She's a dream on the stand & has great teat size & placement. Anxious to see if this girl can do better. 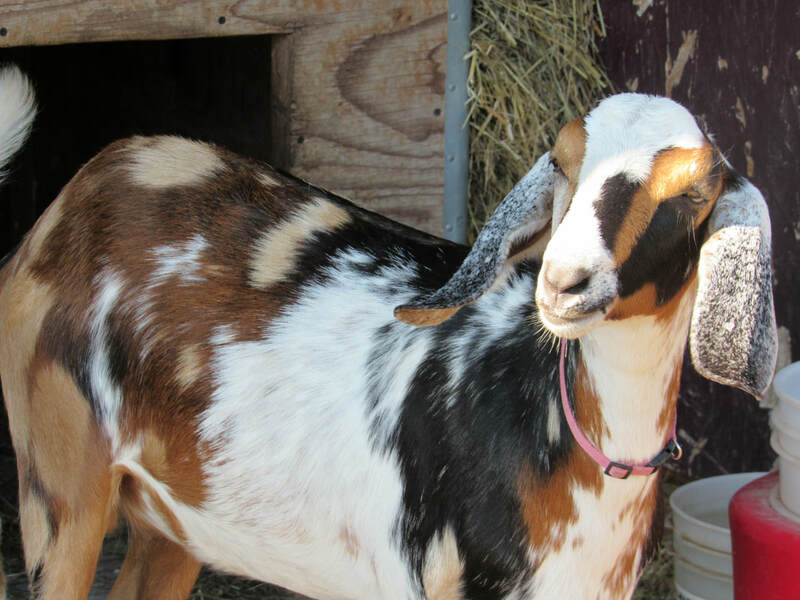 She's a real sweetheart because since she was 1 of quads we bottle fed her giving mom a break!